Coalition's team of over 120 experts has the talent every ecommerce store needs to thrive. Whether you're looking to launch a new storefront on Bigcommerce, redesign an existing one, or looking for custom development using the Bigcommerce API, our design and development teams will deliver. And once your site is ready for a national audience, our team of ecommerce SEO and PPC experts have the capabilities to help you achieve amazing things for your business. And we're not just saying that! Some of Bigcommerce's biggest case studies are Coalition clients. 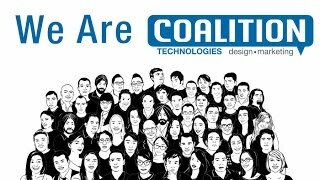 Reach out to Coalition's team of digital strategists and find out how we can help you today! Search engine optimization (SEO) is imperative to having a successful business on Bigcommerce. Coalition Technologies has worked with multitudes of Bigcommerce clients and have been able to drive amazing results to their ecommerce stores! This is because our team of SEO specialists are extremely knowledgeable about how the Bigcommerce platform best interacts with search engine crawlers and algorithms. This knowledge enables us to customize your Bigcommerce storefront with search engine optimization in mind. As the longest running Bigcommerce Premium Partner (since 2009), Coalition has more experience, more case studies, and more happy Bigcommerce clients, than any other. Coalition Technologies is on the forefront of ecommerce web design and development. Why? Because our team understands how a website maximizes marketing opportunities, converts qualified visitors, and sustains growth year in, and year out. We’ve applied our experience and knowledge to our Bigcommerce client sites. Our team has been working with the Bigcommerce platform for years, and we have seen it grow from a young start-up to one of the world’s leading ecommerce CMS platforms. Throughout our time working with Bigcommerce store owners, we have developed a nuanced understanding of its functionality and the level of customization it allows its users. Whether your working for a Fortune 500 company or a new small business, discover how our team can help! 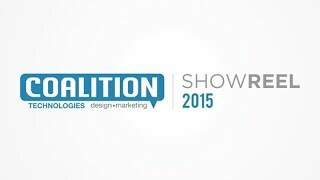 Coalition loves to innovate ecommerce and our showreel features clients who have benefited from our integrated approach to Bigcommerce design, development, SEO, PPC, and other online marketing strategies! If you love what you see, contact us today! Coalition Technologies is one of the leading ecommerce SEO & web design agencies in the United States. Our purpose is to provide exceptional online marketing services and fantastic outcomes to ecommerce stores big and small. Discover our global team and outstanding talent yourself!